Earlier Munch had actress Rani Mukherjee as its endorser and Perk had Preity Zinta as its endorser. In early 2000 Perk came out as the clear leader with Preity Zinta as the face of the brand. 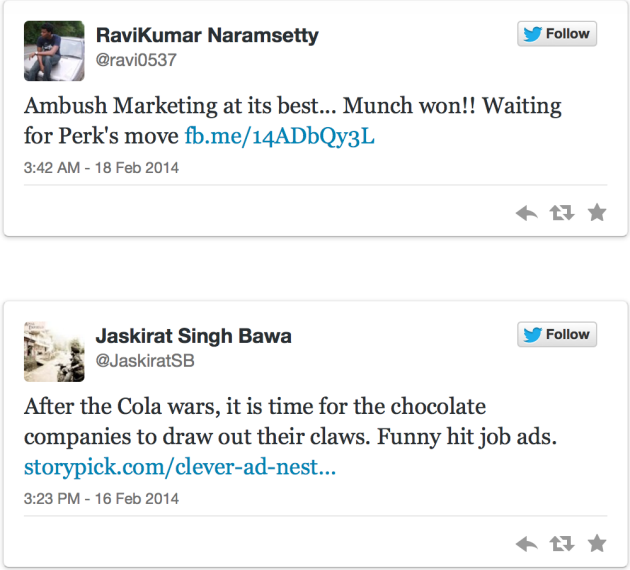 At present Nestle is aggressively promoting Munch on social media and has a high engagement with its fans on Facebook. The current fan base is around 403,169 . 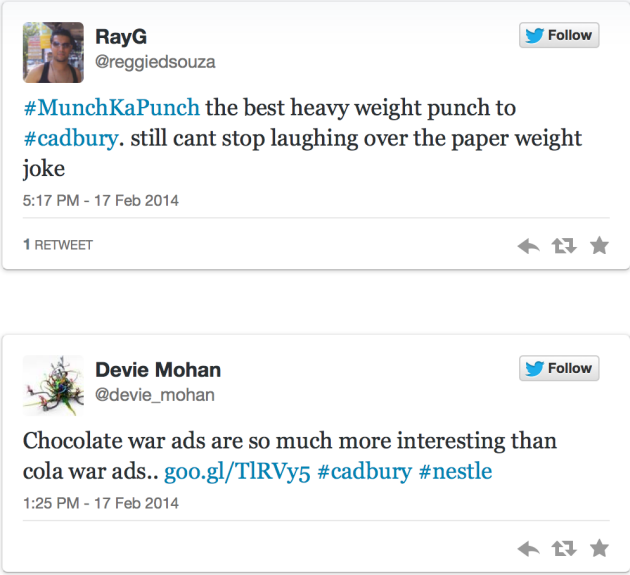 Cadbury has the higher number of Fan base for Perk that is around 100,5213 but low on engagement with its fans. In the year 2014, Perk tried it hands on Ambush Marketing and took a dig at Munch calling it as a paper weight. Munch was quick to reply back with a witty answer. It became a trending topic on social media where Munch gained more awareness. In marketing, it is good to witness another Coke and Pepsi branding but this time, the brands are fighting for chocolate.